SO it’s been a while since our last blog post, 5 months to be exact. Firstly because there really wasn’t anything interesting to tell you once we go back to normality and secondly since October we just haven’t had time. Who knew a child (more to the point a baby) took up so much time…. well parents obviously! We were warned but its not until you experience it that you realise. For those of you who don’t already know which is mainly anyone who isn’t friends with us on Facebook, on Tuesday 11th October 2016 at 04:54am after 3 days of trying induce labour our little girl Daisy Rebel Johnson was born by caesarean section (13 days after her due date). For the first few weeks it was an emotional rollercoaster of ups and downs, finding our feet as new parents but now 13 weeks in we still have no idea WTF we are doing ha ha!!!! Obviously that’s not true, we have grown in confidence and are smitten, but as any parent knows its not all plain sailing. We are very lucky that Daisy is a pretty good sleeper, but she seems to have taken on some traits from my side (her mother) and can sometimes be a bit of a whinge bag. However she definitely has her father’s appetite…..! The main trait that stands out is that she doesn’t like to sit still for very long and needs to constantly be on the move, which bodes well considering she will soon be living on a boat! It must have been all that sailing I did during the pregnancy. 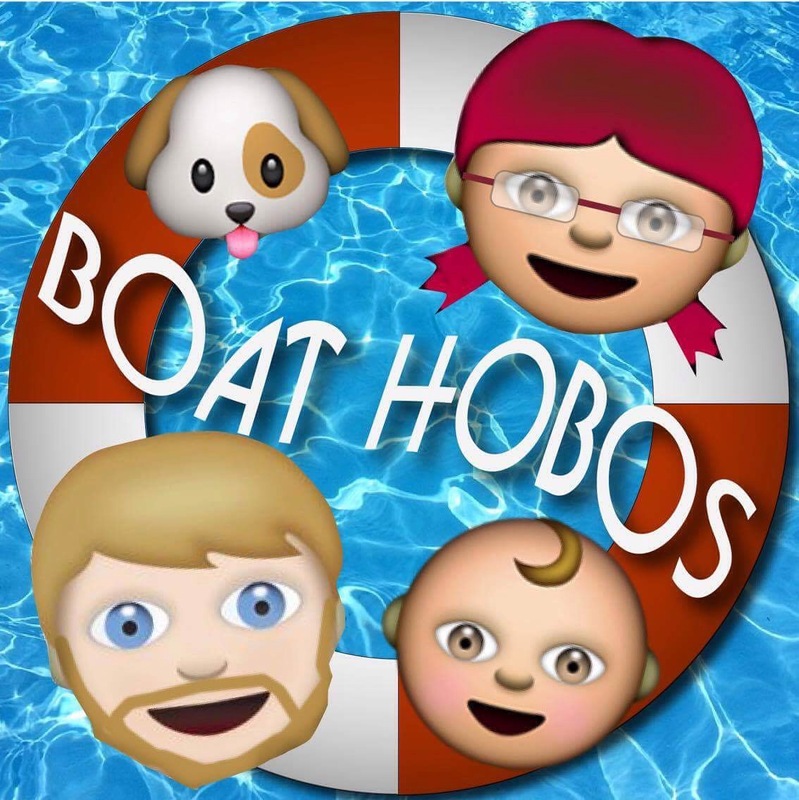 In 3 weeks & 3 days she will formally become a fully-fledged member of the Boats Hobos. Leaving will be bitter sweet, as we are looking forward to returning to our home but very sad to say our goodbyes to friends & in particular our family as we know they will miss Daisy. I am also petrified about protecting Daisy from the sun, heat, mosquitoes & water and also having to adjust her to whole new routine ….. so stay tuned if you want to know how we get on! for putting up with us and all our stuff, letting us use their water, taking the car, drowning us in baby stuff, looking after Scrumpy Dog ….the list is endless! For the SleepyHead bed, Daisy enjoys lots of naps in it! For their very kind words & supportive and amazing generosity giving us an awesome car seat, baby carrier & kitting out Bean Bag out in some designer labels! Andrea Buckley for bringing us take-aways to hospital. *If I have missed anyone then I completely apologies I have tried to remember everyone!!!!! Hopefully meet her the next time you step onto English shores ! Sale safely and looking forward to more photos.